“Her lungs get filled with water and she struggles to breathe. 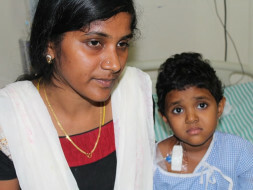 Sana suffers from fever and barely manages to eat, if not for the medicines. She vomits phlegm as her lungs get filled with water. After two years of tryst with cancer, my little daughter doesn’t even have the strength to cry. Constant, excruciating pain in her chest doesn’t even allow the talkative girl to talk more than few words” - Nandini, Sana’s Mother. 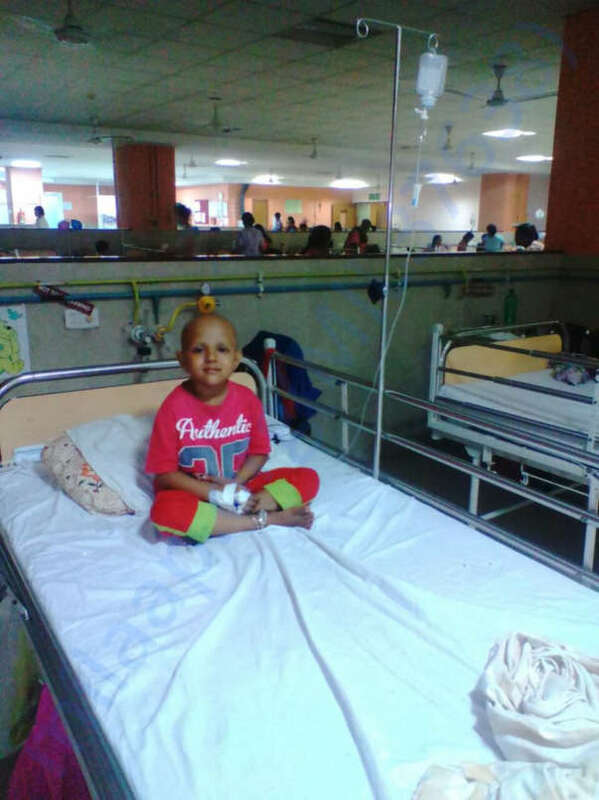 Cancer first struck, when Sana was 2. Nandini rushed from one hospital to the other, to know why Sana vomited phlegm all the time. 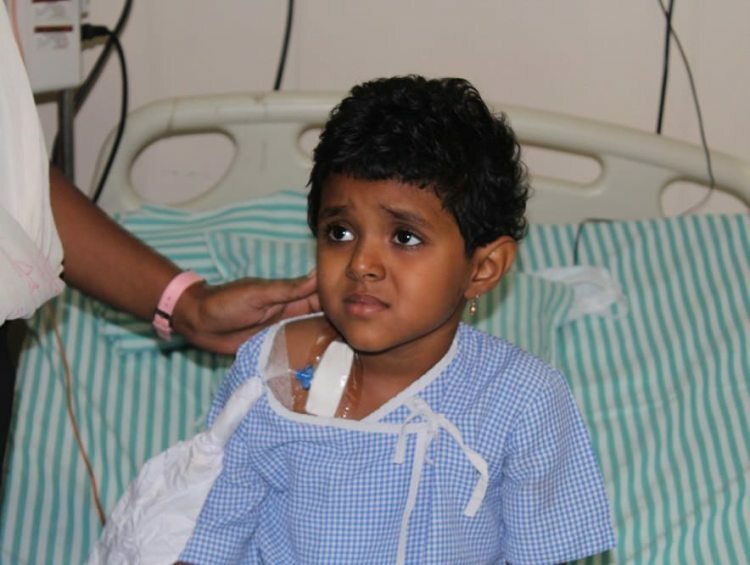 Scans revealed the presence of a tumor in the little girl’s lungs. She was diagnosed with Non-Hodgkin’s Lymphoma, an aggressive and painful form of cancer. "For over a year, she battled cancer. My husband stopped helping us just 2 months after she was diagnosed. He works in Bhadravathi and does not even call or visit. My daughter struggled in pain, crying for her father. We thought the worst was over but the symptoms came back. She even started wheezing this time." Nandini's only happiness in life is her daughter's smile. From the first time she was diagnosed with the relapse, it is only disappointment that Nandini has experienced, every time she’s sought her husband’s help. "I have been advised to stay by Sana's side all the time because anything could happen. My mother is now working as domestic help to make money for her treatment and medicines." “She is an extremely bright kid. Just as she was about to finish play-school and step into kindergarten, cancer halted her growth. Her teachers are eager to see her live and get back to school. Doctors and nursing staff in the hospital can’t get enough of her wit. Sana’s little brother, Jaideep, has hardly seen his sister. 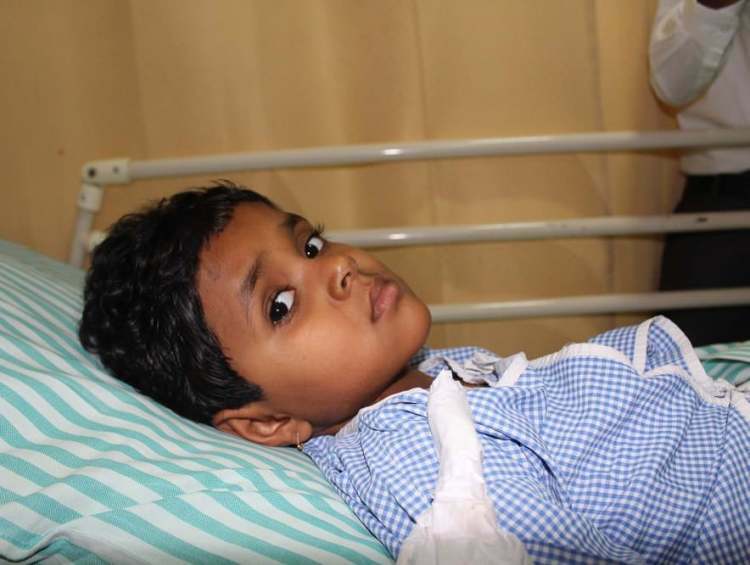 He doesn’t eat any food for days and cries, asking why he can’t go to the hospital with her,” says Nandini as a pall of gloom descends on her home. All the courage, resourcefulness has meant that Nandini’s daughter has hope. 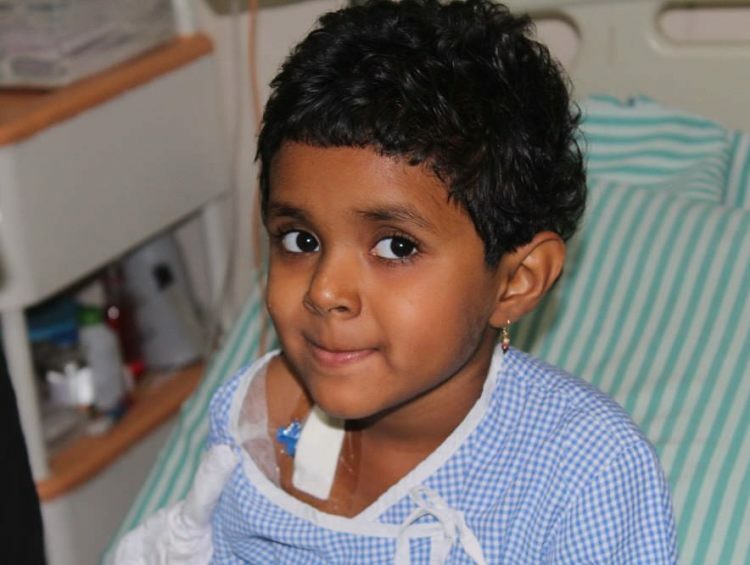 Only a Bone Marrow Transplant(BMT), with the 4-year-old’s mother being the donor, can help Sana beat cancer, again. But having spent more than 4 lakhs so far, they are left with nothing. They borrow to make ends meet. This single mother continues to fight for her daughter’s life against all odds. Nandini has no means to afford 32 Lakhs to fund her daughter’s treatment. 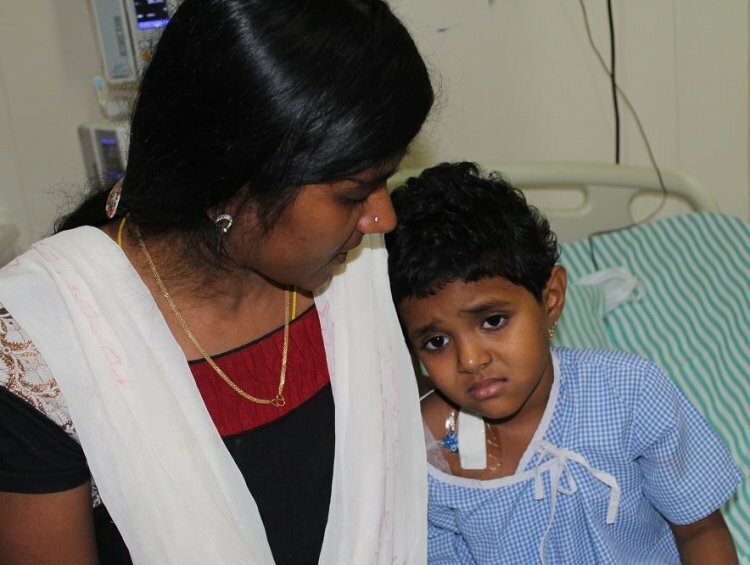 She needs your help to keep her daughter’s fight against cancer alive and ensure the 4-year-old’s recovery. I am grateful for all the blessings showered on Sana. With grief, I regret to inform you that Sana is no more amongst us. She relapsed post transplant and received chemotherapy for the same. 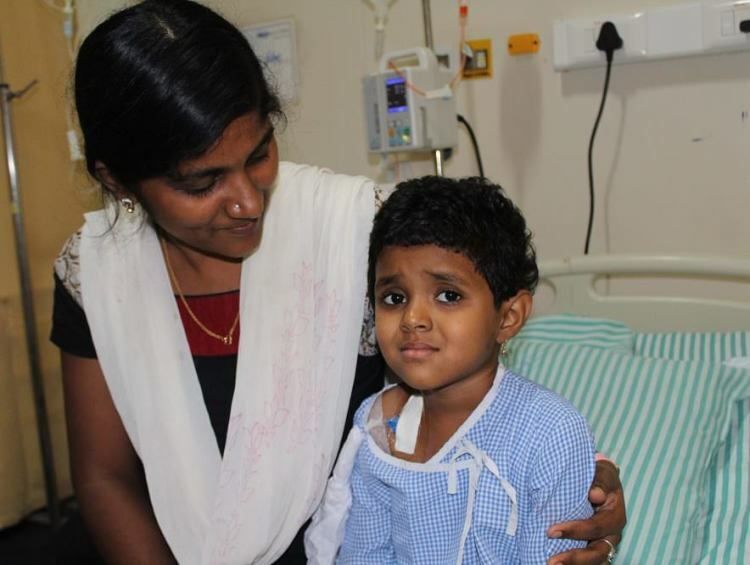 She suffered with fever, cough, loose stools and vomiting leading to further complications. She later suffered a cardiac arrest which lead to her demise. 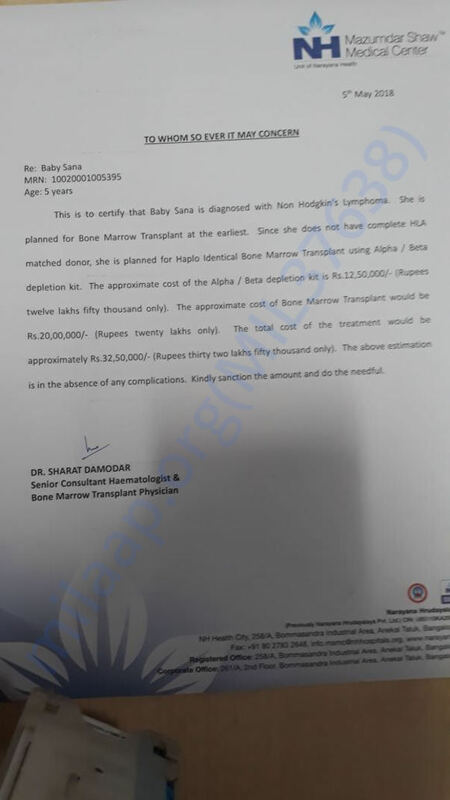 All the funds were utilized for her medical expenses. I thank all of you once gain for the support and request you to pray for her soul to rest in peace. Also, keep her family in your prayers as they go through a tough time. I am humbled with the love and support given to Sana. 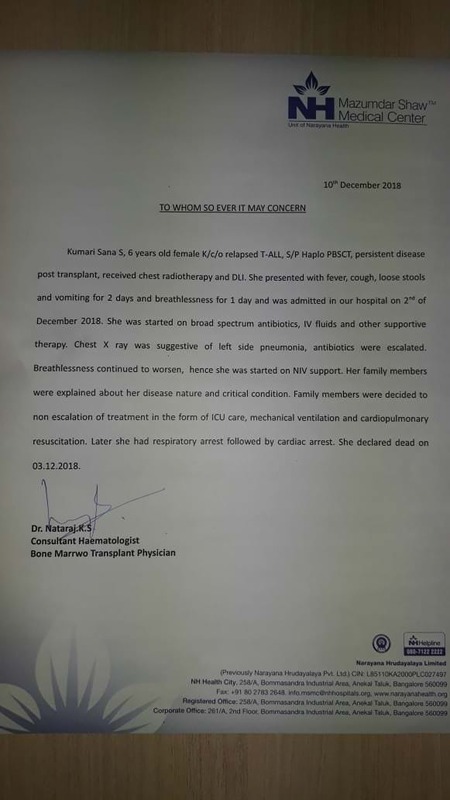 I would like to inform you that the bone marrow transplant was recently conducted and she is presently in the BMT ward. Her treatment will continue for a month post which she will be moved to the general ward. Her response to the treatment has been very well and we are hopeful of a speedy recovery. We couldn't have gone through this difficult phase of life without your support. A heartfelt thank you to all of you for the immense love and support. Pictures need to be added. Thank you for the wonderful support you have shown towards my baby Sana. Currently, she is at home and doing a lot better. She was on medication as prescribed by the doctors, the medicines were imported, administered and the baby showed good signs of progress after completing the course. She will be admitted at the hospital as the procedure for bone marrow transplant will start from tomorrow, I will be the donor for the same. Please pray for her health and speedy recovery. Thank you once again.